The past couple of months have been tough ones for Jocelyn and I. Just a few short weeks ago, we said goodbye to our adorable, not-quite 2 year old nephew/cousin Duncan. This past Easter weekend, we also said goodbye to our mom and grandma. 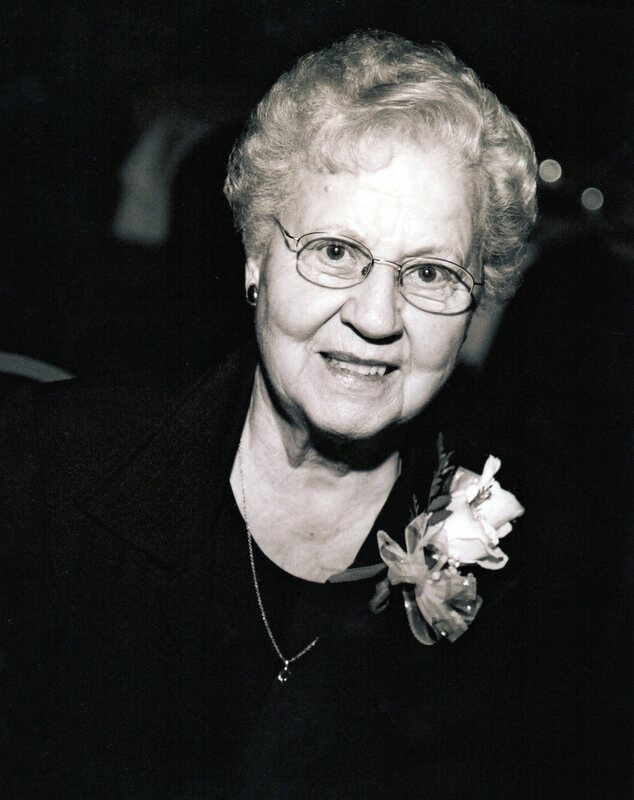 It only seems fitting that today we should dedicate this post to her- especially since that is where we first acquired our love of cooking and good food. 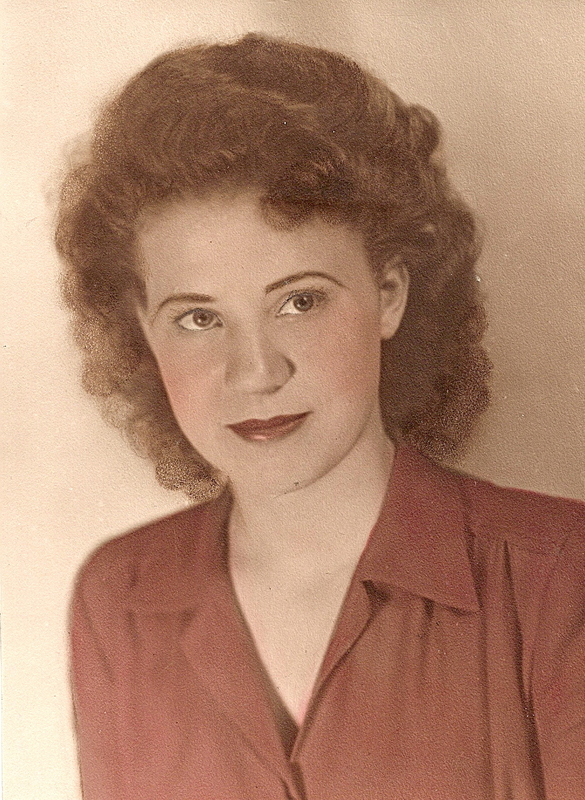 Mom was a self-taught cook before the days of the cooking channels and ready-made mixes. Even in her last days, she still enjoyed watching cooking shows and jotting down the recipe. 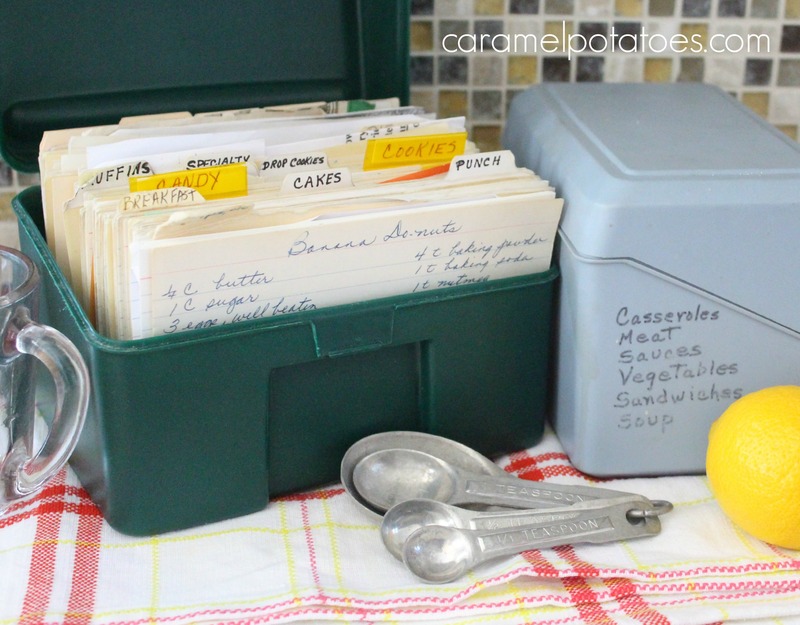 It’s no wonder, that one of the prize possessions I brought back with me is her recipe boxes filled with handwritten tried and true favorites. One box couldn’t contain them all- it took two boxes, each organized, divided and sub-divided into categories so she could always find them. Sometimes she added ones that just didn’t make the cut- she would toss them and only leave the ones she loved. My mom was well-known for her wonderful cooking – she was always the first take in a meal or bring a dessert, but it was her pies that she was most famous for. My personal favorite is her Rhubarb Custard Pie, but we also love her Banana Cream Pie, her Fresh Strawberry and Fresh Peach Pies and so many more. Many other of my mom’s family favorites are here on Caramel Potatoes such as her Banana Blueberry Muffins, Picnic Cake, Sloppy Joes, and Pork Chop Stew. I could go on and on – there are just too many to name! What a delicious legacy to pass on. It’s the reason why we started Caramel Potatoes- so we could share and record all our family favorites that have become tradition and bind us together. We’re thrilled that so many have followed along and hope you can make these recipes a part of your traditions to share with your families. 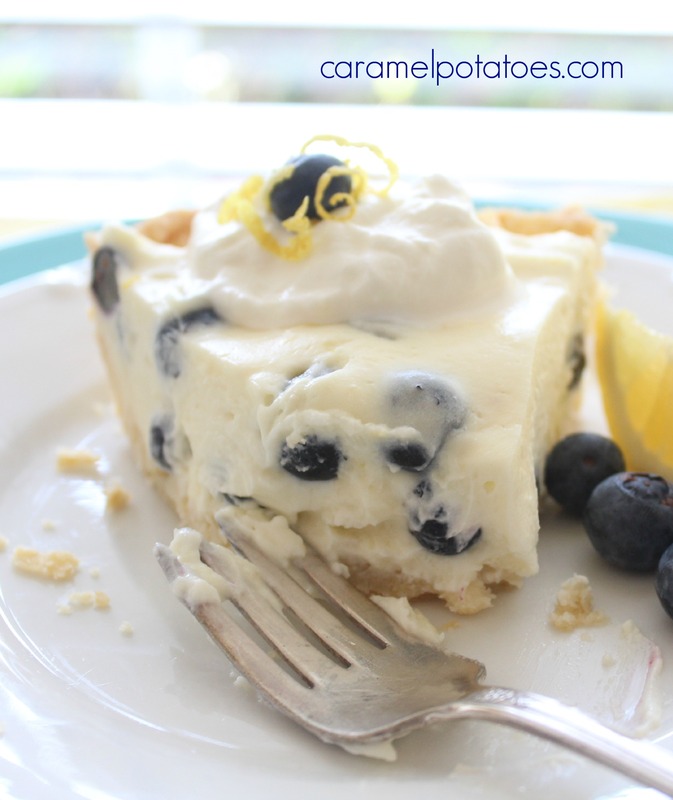 This Lemon Blueberry Cream Pie is one I had never had before, but I found the recipe in her box. It’s light, fresh, and bursting with fresh flavor. My husband loved it. It will be a great addition to any summer barbecue. Mix sugar and cornstarch together in a medium sauce pan. Add milk, egg yolks, butter and lemon zest. Whisk together and cook over medium heat until bubbly. Continue cooking 2 minutes. Remove from heat ad stir in the lemon juice. Place the mixture in a bowl and cover with plastic wrap. Cool, then refrigerate until cold. Whip the cream with the powdered sugar until it is stiff. Fold the whipped cream and sour cream into the pudding mix. 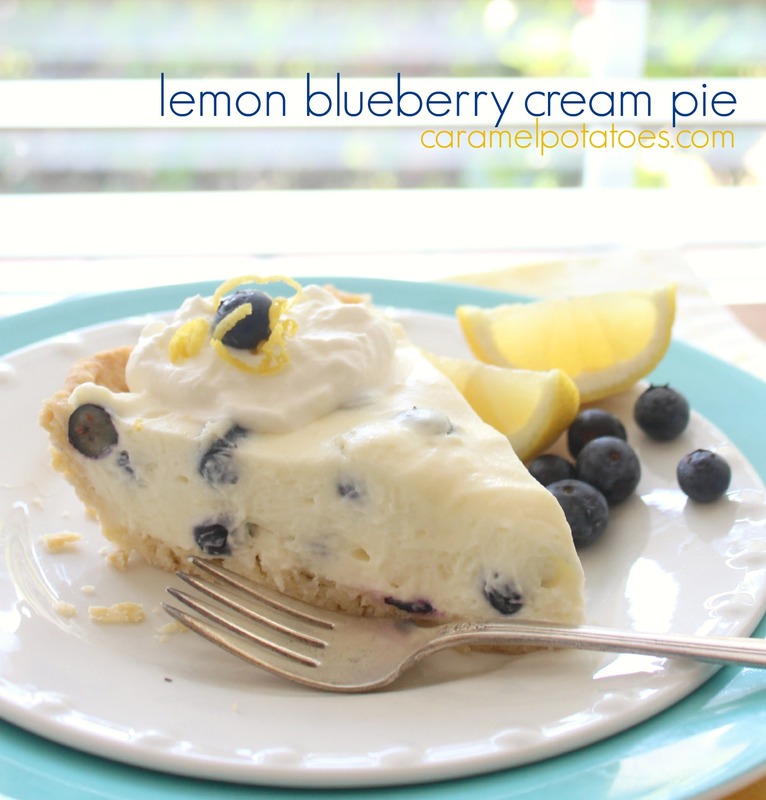 Stir in the blueberries and pour into prepared pie crust. Refrigerate for at least 2 hours or overnight. Serve with additional whipped cream if desired. What a beautiful tribute. So sorry for your loss. What a great lady and such great recipes. I’m sure you cherish them. My family definitely appreciates the fact that you are sharing them with us. Our sympathies to you and your family. What a wonderful rememberance — thank you for sharing! Love and prayers to your family. I sure appreciate your recipes. I have made your rhubarb pie and we love it- thanks for sharing your wonderful recipes. Sorry for your loss. This is so nice – what a great story. Thanks for sharing all your wonderful recipes, we love them too! Oh what a nice post. Hugs to you and your family. I’m so happy you are sharing your mom’s recipes and can’t wait for more! Thanks everyone for your kind words and thoughts!